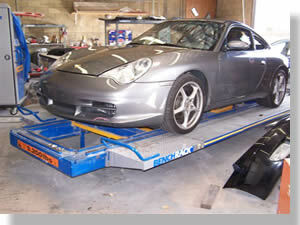 We utilize the Car-O-Liner frame repair systems. These frame racks are capable of multiple pulls, this is critical in returning your vehicle to it's original factory specifications. Certified technicians restore the integrity of the frame or unibody to manufacturer's specifications. When it comes to automobiles, you can judge a car by its cover! That’s why at the we use state-of-the-art painting systems. 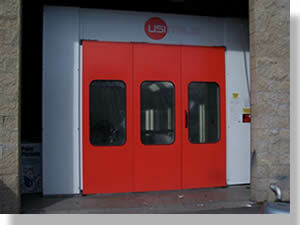 Our modern factory finishes incorporate multiple layers of highly specialized paints and the Usi Italia paint booth system. In our paint mixing area we match your vehicles finish. After selecting the correct color, we then prepare your vehicle for paint by sanding and applying primer and sealer. We use the BASF paint system. Free pick up and delivery to better convenience our customers.